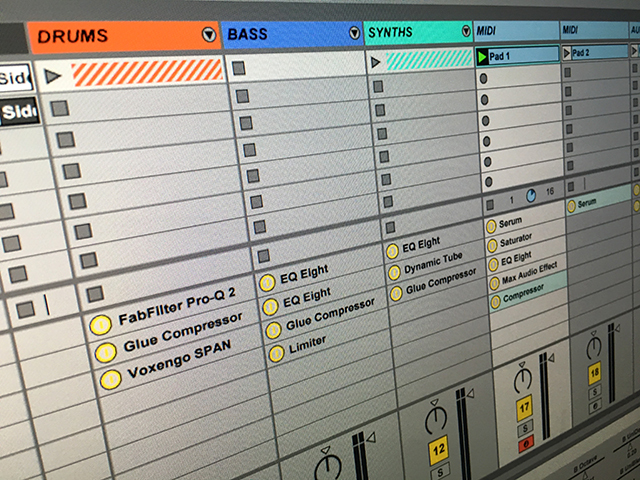 Learn how to unlock Ableton Live’s many hidden features in this guide and see a few of our favorite secret functions in action. Includes FREE Download. Ableton Live has a strong reputation for being one of the industry’s leading Digital Audio Workstations (DAW) for creating or recording musical ideas, transforming them into finished songs, and even performing live on the stage. Amidst Live’s most powerful and useful functionality is some amazing hidden features. In this guide, we show you how to unlock Live’s hidden features and highlight a few of our favorite secret functions. Tucked away deep in Ableton Live’s directory on both MAC and PC is an Options.txt file that you can create or edit to access Live’s hidden features. The Options.txt file offers a way to change some of Live’s options for special circumstances. These options are mainly used for developing and internal testing. However, some of you may find them useful as well. Several functions can be activated in the Options.txt file. Editing this file is very simple; on separate lines, the syntax for each option begins with a hyphen and sometimes will also require an additional underscore. If you use the wrong syntax, you will get an error message when opening Live. If there is a function you wish to deactivate, place “/” before the syntax. You will also need to restart Live to activate the function. There are dozens of syntaxes that can be discovered across the Internet. For Ableton Live’s supported functions refer to their Options.txt file page here. Below are five of our favorite hidden features that are extremely helpful. In addition, we have included a FREE download of the Options.txt file used to unlock the following features. Enabling this feature allows you to view all the devices on each track from the mixer in the Session View. This feature is an efficient way to quickly activate and deactivate devices without having to open the Device View and searching through your device chain. This feature is by far one of the greatest time-savers and should be implemented permanently. Similar to “Copy Value to Siblings,” this addition gives you the option to Macro Map a parameter across all of the same device instances in Drum Rack to the same Macro. This feature is accessed through the right-click context menu and eliminates the time needed to map each parameter individually. This feature will automatically Arm any track when selected. This addition may be useful for those working with external instruments in live performances or even in the studio. However, it can be a pain to deal with sometimes. This feature is another great time-saver when recording automation data. Depending on a pre-defined value, Live will smooth out all the breakpoints automatically after recording automation if you want more consistent automation lines. Alternatively, if you wish to remove breakpoints, you can hold down Shift while dragging to eliminate breakpoints as you wipe over them. This feature automatically populates the parameter list for any plugin you load. Located on the Device Title Bar is an “Unfolded Device Parameters” that reveals a panel where you can add useful parameters that can be adjusted without accessing the plugin. You can manually add available parameters by clicking the “Configure Mode” button, accessing the plugins GUI and selecting the parameter you wish to add. To save time, this feature allows you to auto populate the panel with a set value of available parameters. “-1″ will always populate the list with max. 128 parameters, regardless how many parameters the plugin has.